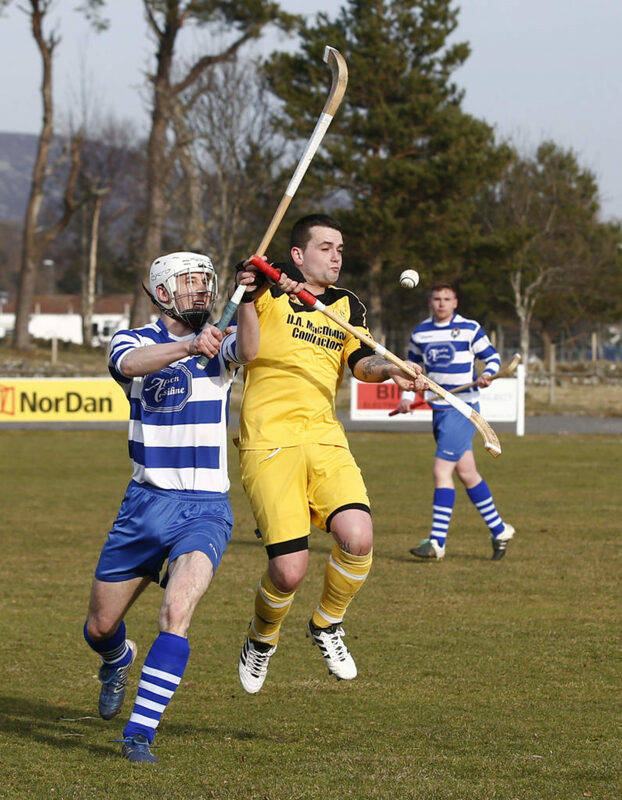 The countdown is on to the new shinty season which throws-up on Saturday – weather permitting. Marine Harvest champions Kinlochshiel begin their bid for a second successive title against Glenurquhart at Kirkton. Paul MacRae captains a Kinlochshiel side which is largely unchanged from last term, although Oliver MacRae misses the start of the season as he is abroad. Donald Nixon has missed the pre-season for the same reason but will be back in time for this weekend’s game. Kinlochshiel manager Johnston Gill may also be without assistant manager Doe MacRae during the early part of the season because of work commitments. Glenurquhart boss Ian MacLeod adds the club’s 1988 Albert Smith medal winner Ally MacKintosh to his management team. Glenurquhart lost Lewis MacLennan and Neale Reid last season, whilst John Barr is awaiting an operation on an injury and has been left out of the club’s ‘named ten’. Goalie Stuart MacKintosh is fit again though and youngster Finlay Ralston should see more game time. Glenurquhart defender Lachie Smith misses the start of the season through suspension. Glenurquhart were the only team to record a league win against Kinlochshiel in their 2017 title winning season. Oban Camanachd’s opening fixture is a home meeting with newly-promoted Skye Camanachd at Mossfield. Oban Camanachd manager Ian Hay has a defensive headache for this one. Full back Gary McKerracher has decided to take a season away from the game, whilst Garry Lord is on holiday. Scott McKillop faces a spell on the sidelines as he recovers from injury. Doctors have ordered McKillop to rest his knee for three months before assessing whether an operation is necessary. Scott MacMillan is suspended. Daniel Cameron and Matt Rippon could feature at the back and there could be a place for Keith MacMillan who has returned from a two-year injury lay-off. John MacLeod returns to the Skye Camanachd managerial hot-seat, replacing Willie Cowie following his 12-month stint. Newly-promoted Skye are boosted by Steven Morrison’s return after injury ruled him out of the 2017 campaign. However, Gilleasbuig MacDonald, who has shown great commitment travelling from his Glasgow base to represent Skye for more than a decade, has decided not to play this year. Neil MacVicar has left for Kyles so youngsters Connor Gilpin and Ruaraidh MacLeod should feature more, with the latter missing most of last season through injury. Caberfeidh, also promoted form the Marine Harvest National Division at the end of last season, head for the Dell to take on Kingussie. New Kingussie boss John Gibson can call on the services of Fraser Munro this season which is a boost. Sandy Elrick has also signed from Beauly, although he may start the season in the second team. Rory MacKeachan is recovering from a tight hamstring but should play. Caberfeidh manager Jodi Gorski is minus full back Ryan Symonds for this one as he is on holiday. Jamie MacIntosh has been carrying an injury, whilst key player Kevin Bartlett will have an enhanced role off the field. Caberfeidh’s Fraser MacArthur is banned. Lovat open against Newtonmore at Balgate. The sides also met on the opening day of the 2017 shinty season when an Iain Robinson hat-trick helped Newtonmore to a 4-2 win at The Eilan. Lovat’s Ryan Ferguson is unlikely to be involved with the senior side this term and Duncan Davidson has a hand injury. Youngsters Scott MacKenzie and Mark Kelly are back in manager Fraser Gallacher’s plans following long-term injury. 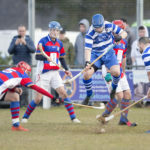 This is the first time Newtonmore haven’t started the season as reigning champions since 2010 when Danny Macrae captained them to the first of seven successive title successes. Kenny Ross takes over in goal from Norman Campbell. Defender Ackie MacRae has opted not to play this season but Neil Stewart will be in manager Paul John MacKintosh’s plans. Glen MacKintosh misses this one through suspension. Lochaber welcome Kyles Athletic to Spean Bridge. New Lochaber boss Neil MacDonald has signed former Newtonmore player John MacKenzie. Keeper Callum MacDonald is sidelined after suffering an accident at work, whilst Brian MacDonald also misses this one as he serves a one-match ban. Zandz Ferguson will not be available from the start of the season. Kyles Athletic manager James Perlich would love to go one better than last season’s second- placed finish. Defender Neil MacVicar has joined the club from Skye, but forward Sandy MacKenzie misses out through suspension. 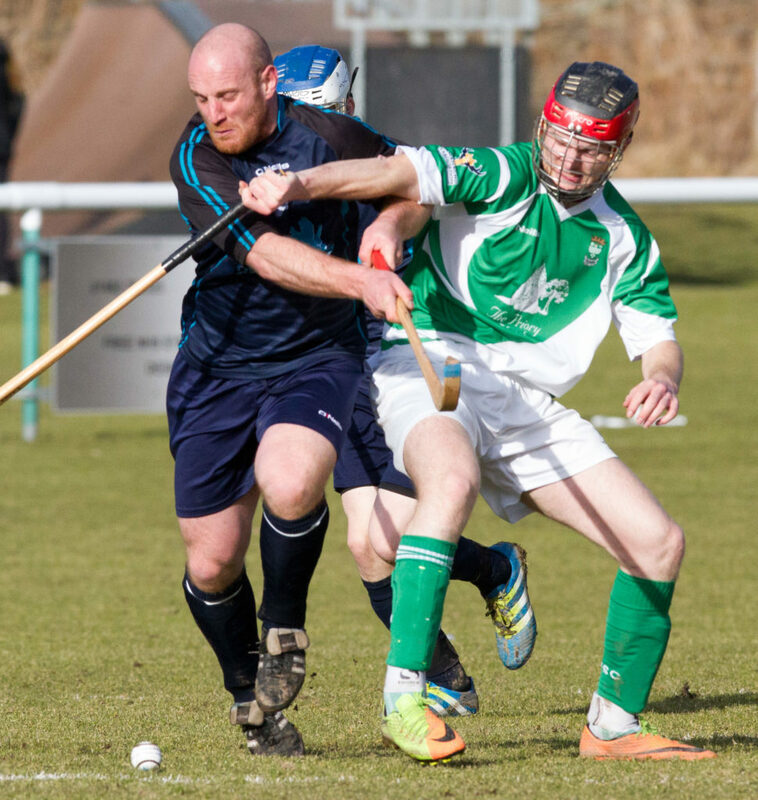 Fort William start their push for promotion back to shinty’s top flight against Beauly at An Aird. Fort William co-managers Victor Smith and Adam Robertson went through a transitional period last season as they lost the services of Niall MacPhee, Gordy MacKinnon, Steven Stewart and Daniel Stewart for different reasons. Youth has been to the fore, with Ally MacRae and Lachie Shaw now established in the senior side whilst Padraig McNeil has rejoined the club after 12 months with Inverness. Beauly boss Alan MacRae has lost Sandy Elrick to Kingussie. His side had a morale-boosting pre-season win over Glenurquhart. Kilmallie also have their sights set on promotion and they have home advantage against Oban Celtic. Kilmallie boss Mark MacPherson is delighted to have Liam MacDonald back after he missed almost the whole of last season and the Scotland forward will captain the side. Liam Cameron and Robbie MacFadyen are also back after injury whilst Mark Graham, who was assistant manager last year, has indicated he wishes to concentrate on playing this year. Experienced defenders Allan MacDonald and Peter Carmichael will not be available this term. Kilmallie trio Craig MacIsaac, Martin Stewart and Michael Rodger all miss the start of the season through suspension. Oban Celtic manager Kenny Wotherspoon has added Dylan Cooke from Glenorchy to his squad, as well as keeper David Martin and defender Calum MacLean, both from Oban Lorn, but David MacInnes won’t be available. Glasgow Mid Argyll, relegated from the premiership at the end of last season, have a tricky opener against Inveraray at Yoker. GMA have signed Scotland U17 cap Jonny MacAskill from Kinlochshiel whilst Ewen Murray is free of injury. Ryan Harrison has told the club he won’t be available this year, whilst Stuart Reid has relocated to Ireland. Inveraray’s Allan MacDonald is banned for his side’s opening fixture, whilst the Winterton side have signed Craig Taylor from Kilmory. Inverness and Strathglass, who finished in the division’s bottom two places last season, meet at The Bught Park. Inverness have lost youngster Padraig McNeil who has returned to Fort William after a season in the Highland Capital. Another promising youth, William MacKinnon, will play for Boleskine. Arran MacMaster sits this one out as he serves a one-match ban. The Inverness first team will be managed by Callum McLeod this season with Drew McNeil taking charge of the seconds and youths. Strathglass are bossed this year by Bruce Douglas, assisted by Roy MacKenzie. They will be without Hamish Myers for the early part of the season. Champions Newtonmore reserves open with a match against Aberdeen University at The Eilan. The students were one of Newtonmore’s biggest challengers last season so this is a tasty opening day fixture. Orsten Gardiner takes the Newtonmore managerial hot-seat from Cammy MacDonald. Former Boleskine and Aberdeen University forward Ewen Fraser has joined Newtonmore as he now works in the area, so he could play against his former club. The Kingussie seconds, who finished third last year, are away to Craigard to play newly-promoted Glengarry. There is a reserve west coast derby as Skye Camanachd and Kinlochshiel meet at Pairc nan Laoch, Portree. This is the first of four meetings between the sides this season as they have been drawn together in the first rounds of the Aberdein Considine Sutherland Cup and the Strathdearn Cup. The Glenurquhart and Fort William second teams play at Blairbeg. Both will field young sides this term. Lochside Rovers open the defence of their Marine Harvest South Division 1 title against Taynuilt at Taynuilt Sports Field. The home side have signed former Lochside keeper Brian Logan who will replace Chris Parr between the sticks. Lochside boss Gareth Evans is on holiday so his assistant Brian MacCallum will look after the side. There will be changes with Steven Sloss unavailable and Daniel Sloss, Evan MacLellan, Chrissie MacMillan and Craig MacDougall moving up to the Oban Camanachd squad. Ballachulish are off to The Winterton where newly-promoted Inveraray seconds are the opposition. Veterans David MacPherson and David Robertson will provide experience for Inveraray’s young side. Title contenders Aberdour and Bute meet at Silversands. Aberdour will miss Roddy MacColl’s goals after he retired at the end of last year but David McDougall will look to fill the void. Captain Cammy McCue has looked good during pre-season. John MacCallum and Ian McDonald look after Bute who will be keen to get off to a good start. Kyles Athletic and Kilmory meet as Fraser Williamson takes over from Peter Mobeck in charge of Kyles. Kilmory will again rely on the scoring threat from Alex Cunningham and Hal Jones. Tayforth have home advantage against Col Glen. Ronnie MacVicar has taken over as Col Glen manager. The Lochaber second team, who finished second in the division last season, open with a trip to Braeview Park to play the Beauly second team. Boleskine have recruited several new players during the close season and their first league match is at home to Lochcarron. The new Boleskine recruits include Ewen MacKinnon and his sons William and Ross, as well as Stuart MacRae, all from Inverness. Murdo John Fraser has returned for another spell as Lochcarron manager. The Caberfeidh colts await Lewis Camanachd at Castle Leod. Kenny Murray will not feature for Lewis this season. The Inverness seconds make the short journey to Cannich to take on the Strathglass second team. Drew McNeil will look after the Inverness seconds this season, taking over from Allan MacLeod who will play in goal for the first team and take over a number of the club’s off-field administrative duties. Drew McNeil also takes the lead with the Inverness U14 and U17 sides with a view to bringing through the club’s youngsters into the second team providing continuity of coaching over these vital years. The Kilmallie seconds open with a trip to Grantown Grammar School to face Strathspey Camanachd. Darren Urquhart’s Lovat second team do not have an opening day fixture in this eleven team league. An Oban Celtic second team, returning to league action for the first time since the 1999/ 2000 season, open at home to the Bute second team. Former Oban Celtic player Alan Duffy and Les Kinvig will manage the newly-formed Oban Celtic colts. James Craig takes the Bute seconds. Bute second team captain Neil McKirdy misses out through suspension as he serves the second game of a two-match ban carried forward from last season. Strachur, who will be amongst the title favourites, welcome Glasgow Mid Argyll’s second team to Strachurmore. Glenorchy, relegated at the end of last season, meet the Aberdour seconds at Mart Park. There were rumours Glenorchy might not have been able to field a team this year so that is one battle the club has already won before the season gets under way. The final round of pre-season friendly matches took place on Saturday February 24. Fort William and Kyles Athletic played their annual challenge match for the Drew Ferguson Memorial Cup at An Aird with Kyles retaining the trophy. Fort William were minus James Tangney and Jack Fraser, whilst Kyles travelled without Neil MacVicar, Cammy Keith, Gordon Whyte, Sandy MacKenzie, Colin MacDonald, Rupert Williamson and Donald Irvine. New signing Luke Thornton made his debut, getting 60 minutes at full forward. The first half was scrappy but Kyles dominated the second period with their superior fitness giving them an edge. Kyles started with Roddy MacDonald, Grant Irvine, Innes MacDonald and Scott MacDonald up front and they gave the Fort William defence of Sean Cruickshank, Ally MacRae, Ryan Boyle and Sean Cameron a hard time. Kyles had to make a first half change when, during a goalmouth scramble, Grant Irvine was whacked on the ankle by team mate Scott MacDonald who was trying to get a shot away. However Irvine, after treatment, was able to return in place of Innes MacDonald for the final third of the game. Innes MacDonald came back on in defence for Ross MacRae for the final 15 minutes of the contest. Grant Irvine scored twice, earning the man of the match accolade, whilst Roddy MacDonald got the other Kyles Athletic goal. Kyles captain John Whyte accepted the Drew Ferguson Memorial Cup from Drew’s mum Sheila Ferguson. With the second team derby between Fort William and Kilmallie called off earlier in the week, and the Lochside Rovers meeting with the Newtonmore second team not going ahead, Fort William and Lochside quickly arranged a noon throw- up at An Aird. 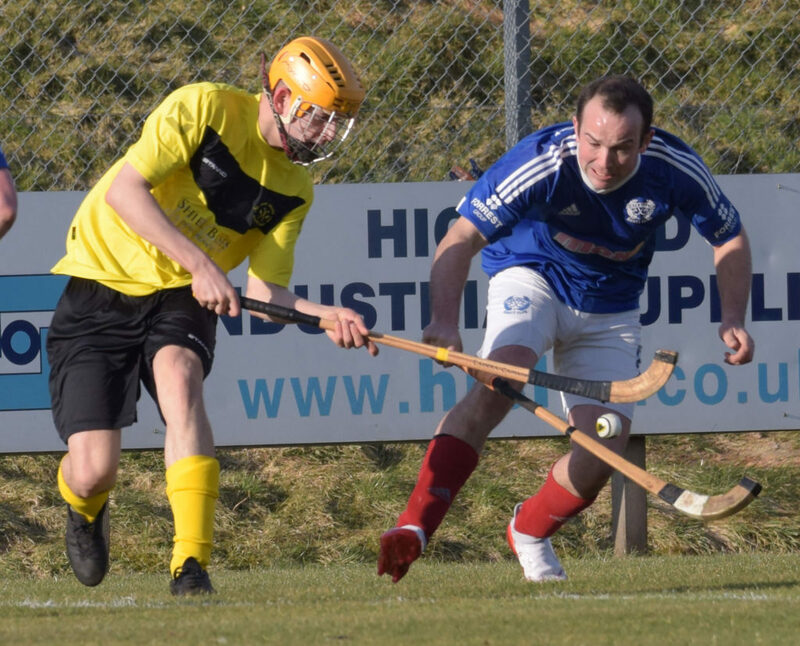 Oban Camanachd had been due to face Kilmallie but with that game called off, Matt Rippon, Lorne Dickie, Willie Neilson and Scott MacMillan were included, with the last two starting on the bench. Iain MacMillan looked after Lochside, as manager Gareth Evans was working, and his assistant Brian MacCallum was also unavailable. Fort William took a first half lead when a terrific long-range shot from young Victor Smith nestled in the top corner of the net. It was the only goal of the first half with Lochside unable to convert their pressure into goals. Lochside brought on Willie Neilson and Scott MacMillan at half time and moved Matt Rippon from defence to attack. Connor MacRae capitalised on some poor communication in the Lochside defence to make it 2-0. Matt Rippon pulled a goal back, but Fort William stayed in front to win 2-1. Lovat beat Lochaber 4-1 in their all-premiership friendly match at Spean Bridge. The new Lochaber manager was without keeper Callum MacDonald so 19-year-old Ally MacDonald took over in goal and did well. Brian MacDonald and Zandz Ferguson were also missing. Former Newtonmore player John MacKenzie started at full forward for Lochaber and was joined in attack by Shaun Nicolson, Findlay MacDonald and Stuart Matheson. Lovat also had a change in goal with manager Fraser Gallacher replacing Stuart MacDonald who was on holiday. Drew Howie and Lorne MacKay were also unavailable for the Balgate side, whilst Martin Mainland was injured. Lochaber took the lead on 35 minutes when a clearance out of defence from Lovat goalie Fraser Gallacher went straight to Shaun Nicolson who struck the ball first time from outside the ‘D’ to make it 1-0. Lovat levelled a couple of minutes before half time when Greg Matheson darted into the ‘D’ to turn home a ball across goal with Lochaber claiming for offside. Greg Matheson put Lovat ahead for the first time in the game on the hour mark when he unleashed a 30 yard rocket-shot on his back-hand. Marc MacLachlan made it 3-1 10 minutes later, netting from 15 yards to give Lovat a cushion. A first senior goal for Bailey MacKay followed on 73 minutes. Wing centre MacKay seemed to come from nowhere with a late run at a corner, catching out the home defence. MacKay took a nice touch to take the ball down with his stick and he slipped it past keeper MacDonald only for the ball to come back off the post. However the rebound fell perfectly for MacKay who tapped it into the bottom corner of the net to make it 4-1. Lochaber substitute Danny Delaney missed a late penalty, sending the ball wide of Fraser Gallacher’s right post. Skye Camanachd took the field for the first time this year, beating Beauly 5-0 in their 1pm throw-up at Braeview Park. Whilst Beauly had already appeared pre-season, this was fourth time lucky for Skye as the wet weather had wiped out their pre-season programme. Skye took the lead after six minutes when Jordan Murchison slipped in Ruaraidh MacLeod who finished well into the top corner from 15 yards for his first goal at senior level. James Pringle made it 2-0 after 13 minutes. Pringle went on a great solo run from half-way line and beat the keeper with a great finish. The second half was just 11 minutes old when Iain MacLellan tucked a back-hand finish past Josh Grant, beating the keeper from 15 yards. A great turn by Ross Gordon ended with a pass to Jordan Murchison on 76 minutes. Murchison juggled the ball with his back to goal before turning and smashing the dropping ball on his back-hand from 20 yards, past a helpless keeper. A minute later, Ruaraidh MacLeod nipped in between a defender and keeper Josh Grant to make it 5-0. 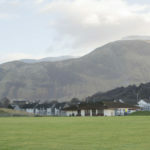 Inverness and Kinlochshiel have been drawn together at Kirkton in the first round of the cottages.com MacTavish Cup and they arranged a friendly at The Bught Park. Kinlochshiel had Scott Kennedy back in goal but the other end of the park saw most of the action with Jordan Fraser impressing with four goals and Finlay MacRae and John MacRae getting the others. Glasgow Mid Argyll and Kingussie lined up for a 12.30pm meeting at Yoker. Kingussie travelled south with a young squad but they had keeper Craig Dawson and Fraser Munro back in the side. GMA were without full back Ryan Harrison who is unlikely to play this season. Fraser Munro put Kingussie ahead five minutes from the end of the first half. Munro found the net from left of the penalty spot, crashing the ball high into the roof of net. Lee Bain made it 2-0 when, standing on the penalty spot, he turned sharply and with a half-swing sent the ball into the bottom corner of the goal. Darren Hanlan hit Kingussie’s third with a good drive into the top corner of the net from the middle of pitch around 20 yards out. John McNulty netted for the hosts with literally the last hit of the game. McNulty’s low shot from the right went across keeper Dawson and into the bottom corner of the net. Kingussie’s Fraser Munro was the game’s stand-out performer, whilst Ewan Murray was best for GMA in a match refereed by Ross Brown. Glenurquhart retained the MacDonald Cup when they beat Strathglass 3-0 at Blairbeg. It was a good afternoon for Glenurquhart’s Fraser Heath who scored all three of his side’s goals. There was a reserve team meeting between Glenurquhart and Strathglass at Blairbeg, with the Ali Bhan Cup at stake. This also went Glenurquhart’s way as they won 2-0. Bradley Sneddon and Ben Hosie grabbed the goals. Newtonmore and Inveraray met at The Eilan as part of the host club’s annual open day. All the goals came in the second half. Ewan Fraser, who has joined the club from Aberdeen University, scored twice, as did Evan Menzies. Glen MacKintosh got the other. Lewis MacNicol countered for Inveraray, who included new signing Craig Taylor. A mixture of Aberdour first and second team players took on Col Glen at Silversands, with the visitors coming out 2-1 victors. The Aberdour second team had been due to play Strachur but that game was postponed so coach Lisa MacColl was awash with players and she tried to give as many as possible a game. This affected the rhythm of the match but the hosts went in front when David MacDougall slotted home a Kieran Burns ball from the wing. It was a fairly even first half and Col Glen got their reward when Jamie MacVicar set up Donnie McDiarmid to equalise before half time. Aberdour, with captain Cammy McCue having a fine game, continued to rotate their side and, just when it looked like the game would finish level, Willie MacVicar popped up to score a late winner for Col Glen, with Jamie MacVicar again the provider. The Kingussie colts from Marine Harvest North Division 1 and the Caberfeidh colts from Marine Harvest North Division 2 met in a 2pm throw-up Dunbarry. A Kevin Thain goal was the difference between the sides, giving Kingussie a 1-0 victory. The Glasgow Mid Argyll second team and the Bute second team drew 3-3 in their 2.30pm throw- up at Yoker. Scott Anderson, Connor McLeod and Angus MacInnes were on target for GMA but two goals from Bute captain Neil McKirdy and a Chris McGowan goal ensured a share of the spoils. The game between Tayforth and Strathspey Camanachd at Levenhall Links didn’t go ahead. The match between Glengarry and the Skye Camanachd second team at Craigard was postponed on Thursday evening. Boleskine’s meeting with the Lovat second team didn’t go ahead. The National P5 and under and P7 and under First Shinty Festivals takes place in Fort William this Saturday, March 3. The event is one of youth shinty’s biggest days with teams from all over Scotland taking part. The competing sides have all won their regional tournaments so a great day’s shinty is guaranteed. The P5 and under tournament takes place at Lochaber High School whilst the P7 and under competition will be held at The Nevis Centre. The Women’s Camanachd Association Marine Harvest National Division got under way on Sunday February 25. Champions Skye Camanachd got their season off to a great start, beating Fort William 15-1 at An Aird. Leah Maxtone scored for the Fort but Lorna MacRae and Jenna Beaton both netted five for Skye. Sarah Corrigall scored four and Katherine Dibble got the other. Lochaber, who finished second in the division last season, were too strong for newly-promoted Ardnamurchan, winning 13-0 at Strontian. Kirsty Delaney scored six times whilst Rebecca Masson and Caitlin MacDonald bagged doubles. Thea Robertson, Christy MacIntyre and Natalie MacDonald got the others for a Lochaber side who gave debuts to Caitlin MacDonald, Thea Robertson and Katie MacRae. Badenoch were 4-1 winners against Aberdour at Dunbarry. Goals from Eilidh Ross, Mairi Stewart, Klaudia Ordys and an own goal counted for Badenoch, with Catriona Chamberlain scoring for Aberdour. Strathspey were surprise 2-1 winners in their 1.30pm throw- up against Glasgow Mid Argyll at Grantown Grammar School. After a goal-less first half, Jade Longworth gave Strathspey the lead soon after the re-start, quickly followed by a Jane Moodie effort which made it 2-0. GMA pulled a goal back through Rachel McCafferty but Strathspey, with Stacey Hutton having a great game, stayed in front to win. The Women’s Camanachd Association has confirmed this year’s Scotland senior development squad for the trip to London to take on the British camogie select on Saturday April 14. The selection criteria for the development squad is that players cannot have participated in the 2017 international squad. It therefore allows anyone who missed out last year, either because they were unavailable or just below the level to be selected, the opportunity to be seen in a squad in a competitive setting. Women’s Camanachd Association president Lisa McColl explained: ‘The WCA addressed the issue of representative shinty and player pathways above club level for all age categories. The aim was to create a suitable number of development opportunities that look not just at player development but at introducing and up-skilling coaches interested in taking their coaching to a next level. ‘At U14 level, there is opportunities for girls to play in mixed club teams, women’s development and league teams. But, with increasing numbers coming out of primary school age groups, there was a need to look at opportunities above club level. The first rung on the representative ladder is the new U14 North v South representative squad which proved popular last October. ‘At U18/U21 level, the WCA recognised North v South shinty was not working. Lisa went on to explain the measures that have been introduced to fill the gap and said: ‘The WCA has introduced an U18 elite development section for selected players. From this, they will have the opportunity to play as a squad against the senior development squad and then be selected for an U18 Scotland Squad. ‘At senior level, there are plenty of opportunities to play women’s club shinty. The next step on the ladder is the senior North v South representative matches which are always very successful and keenly contested. ‘After this, there is the full Scotland squad. However, with a massively increasing number of players in this category, it has now become difficult for players to break into this squad. 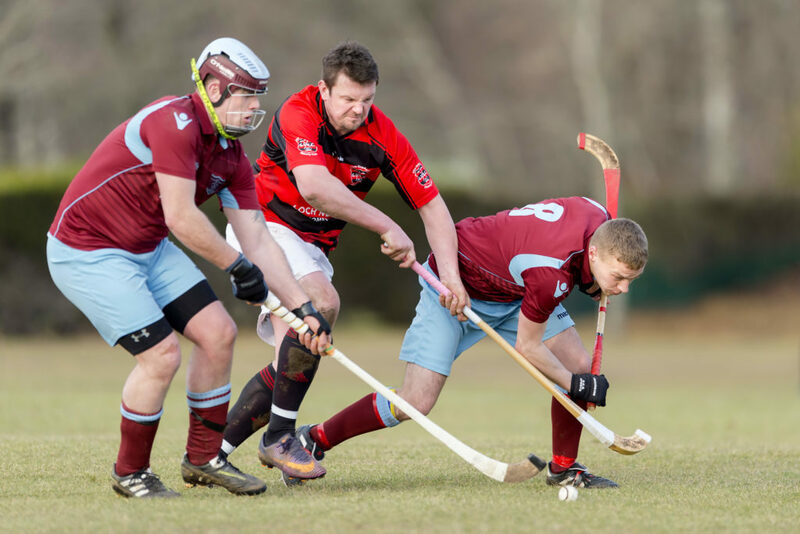 ‘We felt there was a need to bridge the gap between club shinty and the full Scotland squad to allow more players exposure to the coaching and experience of playing with players of a similar ability, hence the introduction of the Scotland senior development squad. ‘The players now have the opportunity to address any skill and fitness gap with a goal to strive for the next rung on the ladder later that season or in future years. ‘Both the senior development squad and the U18 squad therefore address the gap we identified in our current player pathway. Scotland Development Squad from: Elizabeth MacGregor, Hazel Hunter, Donna MacKenzie, Joanne Gillanders, Christy MacIntyre, Hanna Dougan, Mairi Stewart, Lucy MacMillan, Nicola MacSween, Zoe Smith, Katie Booth, Grace Drummond, Ilana Paterson, Sarah Corrigall, Elaine Wink, Missy Cameron, Aoife Tangney and Isabelle Law. Reserves from: Katy Minard, Jenna Jackson, Shaina Archibald, Joanne Ford and Sarah Jane Ferguson.